Heavy rainfalls and landslides have caused the road's condition to deteriorate, turning it into a major danger spot. This local historical site and also a popular one with trekkers and trailing enthusiasts is all set to be closed for a good number of weeks. Yes, we’re talking about the Sinhagad Fort. An eight-day closure of the road was ordered by the district collector Saurabh Rao about a month ago. Rao, who is also the district disaster management authority said that this was done in order to take up the road repair works, after they were ruined by the landslides this year. The ghat section faced many landslides due to the heavy rainfalls recently. The roads have not yet been reworked on even after the eight-day stipulation. It has now been revealed that there is little chance of the roads reopening throughout this entire season. Riding up the mountain shall now be possible only after monsoon ends. The public works department (PWD) is waiting for the reports of the survey undertaken by the expert geologists of IIT-Bombay, which has been long due. The forest department had no other option but to approach a private agency, Maccaferri Environmental Solutions to submit the ocular observation report, emergently. 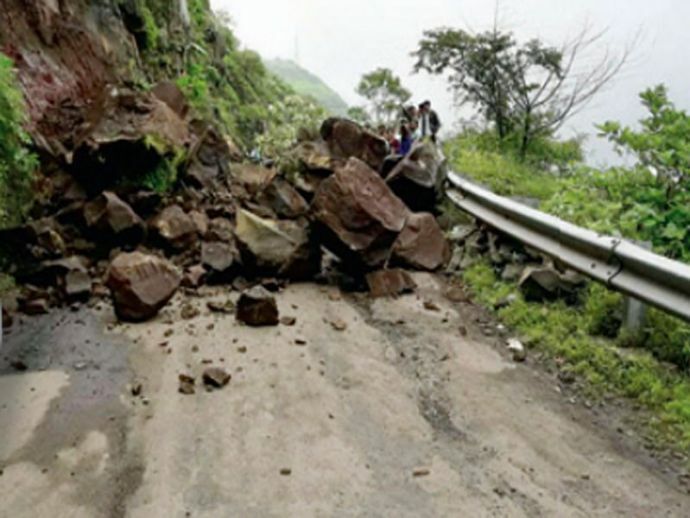 According to information provided by Maccaferri, there are no less than 10 major danger spots on the Sinhagad stretch of 9.2 kms. The stretch thus needs immediate repair works. Maccaferri is currently also involved in the mending the landslide-prone areas of the Mumbai-Pune Expressway. Rangnath Naikade, Deputy Conservator of Forests, confirmed the news. “On Thursday, we met with Maccaferri representatives, who suggested a couple of different methods of repair for the landslide-prone spots, which they located according to a survey. Accordingly, we are going to write to the district collector to complete further formalities in this regard,” he said. An anonymous source from the agency asserted the difficulties they’re facing. “Work here will require specific machinery to cater to the difficult and curvy ghat area, as well as more effort. The rocks along this road are not very solid, creating further problems for repair work. After a green light from the authorities, we will start work,” said the source. The road block has left the hikers, bikers and the trekkers disappointed. Well, we can only hope for the situation to get better and not turn into just another file in the PWD department.